Usmanu Danfodiyo University, Sokoto [UDUSOK] Amended Academic Calendar Schedule for First and Second Semester, 2018/2019 Academic Session Out. 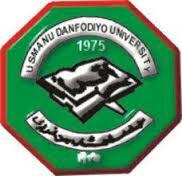 Authorities of the Usmanu Danfodiyo University, UDUSOK has released the amended version of the academic calendar schedule for 2018/2019 academic session. Monday 8th July, 2019 to Saturday 20th July, 2019 - First Semester Break, Marking of Examination and Senate Consideration of Results. Monday 9th December, 2019 - Beginning of 2019/2020 Academic Session.